As suspected, Apple is holding a special event in September. On the ninth, to be specific. Apple is expected to show off the next iteration of their flagship device. iPhone 6s and iPhone 6s plus are expected to make an appearance. It is also rumoured that we may see an iPhone 6c, new iPads and a new Apple TV. Just like previous years, before a launch, there have been many rumours swirling about the new devices. Here’s just a few: A9 processor, 2GB of RAM, new 12MP camera, force touch, stronger aluminum frame, and a new rose gold colour. The new camera sensor would be great. The current camera is pretty impressive, but there’s always room for improvement. Personally, I don’t think the iPhone needs force touch. It was an innovative way to add functionality to the Apple Watch, but I don’t think the iPhone needs this. Just my opinion. ;) Doubling the RAM would definitely be a welcome change. These are all still rumours, of course, but if we go by precedent, Apple hasn’t been able to surprise us too much in the past few years. 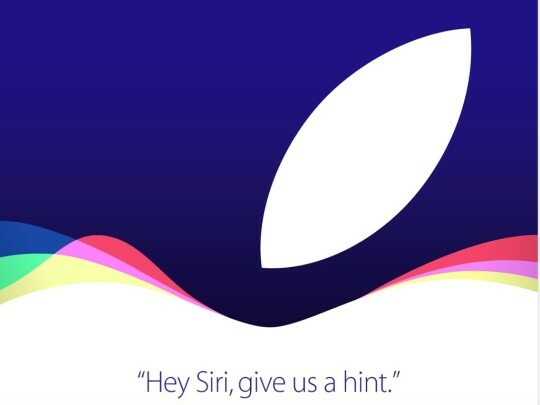 We do know that the new devices will feature iOS 9, the latest version of their mobile operating system. If you’re reading this, you’re probably asking: “Will we be able to jailbreak the new devices?!”. At this point, we can make an educated guess and say no, but we have seen an iOS 8.4.1 jailbreak teased by the Pangu team. Who knows? Maybe the exploits used will work on iOS 9 and the new devices. We can only speculate, at this time. Will you be lining up for the next iPhone? Tell us why or why not in the comments below.